When an idea grows far beyond its original conception it can become the very enemy of the original idea. Just as Marx would have been horrified at Stalinism, Adam Smith disgusted by today’s capitalism, so proponents of Bitcoin’s ideals should now be distancing themselves from what Bitcoin is becoming. The economic arguments are pretty compelling. Bitcoin is unable to cope with the transaction volume so users face long wait times or transaction fees sometimes in excess of $20 which greatly reduces its usefulness to the poor. Bitcoin was supposed to be decentralised, yet now 80% of mining power is under a single government which seems to disapprove of it. Bitcoin was hailed as the disintermediator of banks, yet banks are as vital to society as issuers of credit, which Bitcoin cannot do, being trustless. Other Bitcoin maximalist ideals about augmenting the role of gold are, in my opinion, grounded in flawed economics, and do nothing to improve the condition of humanity. But all of these arguments are soft compared to the problem of Bitcoin’s energy consumption. This Bitcoin energy consumption index estimates (November 2017) Bitcoin uses more energy than the country of Ireland, and is rampaging up the country index; there is no meaningful upper limit on the power it could consume as it grows. While many such as Andreas Antonopolis predicted that the crypto-economy would be an ecosystem of many currencies, in the last six months we are seeing the opposite tendency as Bitcoin’s dominance (over other cryptocurrencies) is increasing. The more hedge-funds pile into bitcoin, the more credible and the more valuable it gets, the more risk-averse money will pile in too, surely without regard for any environmental concerns or the knock-on effects for the economy, or indeed human rights. It is clear that, like the US finance sector under Alan Greenspan, Bitcoin is optimised to grow, and has no capacity to regulate itself with respect to wider global concerns such as the environment. “Bitcoin launched private currencies into the mainstream, but it’s time to admit we made a mistake in not estimating how environmentally damaging it would become at scale,” explains the original ‘Professor Bitcoin’, Dr Jem Bendell. 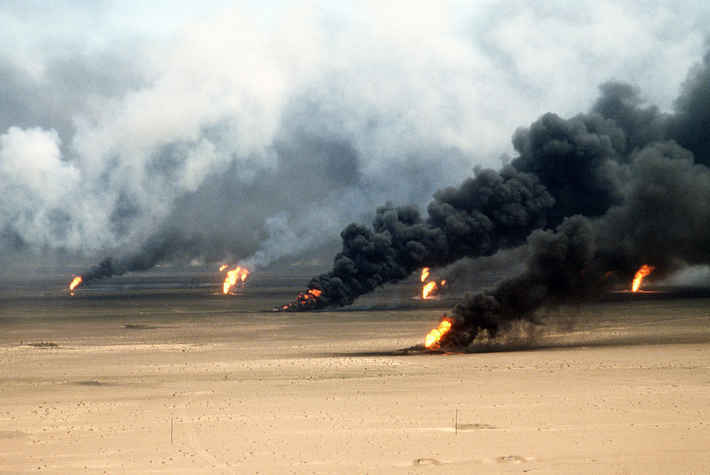 That means Goldman Sachs’ optimism about Bitcoin’s price should be read not as cause for celebration but as the herald of an environmental disaster, comparable perhaps to the Kuwaiti oil fires in the aftermath of the first Gulf War. There are more and more articles appearing to point this out, but not many are saying what can be done. Bitcoin would be harmless if all the mining was done with free Geothermal energy in Iceland. Who might invest in sufficient infrastructure to produce that quantity of geothermal energy? The recent push to adopt Bitcoin Cash to reduce the transaction processing bottleneck does little to reduce wasted energy and would lead to mining being even more centralised. In theory, Bitcoin could switch to a proof-of-stake consensus model, but the vested interests and voters – the miners – would have to volunteer to write-off their own capital-intensive operation. So unless or until Bitcoin bursts like a bubble, capital gains from Bitcoin should be regarded as ethically dubious as shares in Raytheon or Texaco, or blood diamonds. Faircoin with its participatory governance and proof-of-cooperation. If there was sufficient feeling in the cryptocommunity that Bitcoin was toxic, we might see capital starting to divest into other coins, and new fortunes made as the money gradually convened around one or more other coins. On the other hand, if this community does not conduct itself in a socially and environmentally responsible way, then are not governments justified in stepping in to regulate it? Is not excessive CO2 just as antisocial as oil spills and nuclear waste? What we can do about this depends on who we are. Investors might diversify their portfolios, weighting more heavily the coins they want to win. Exchanges might create markets between different alt-coins rather than assuming all transactions are either to or from Bitcoin or ethereum. Fund managers could create ethical crypto-funds, meaning they avoid proof-of-work coins. Software developers could focus more on multi-currency support. Governments could distinguish between coins, perhaps continuing to clamp down on Bitcoin now and remaining undecided what to do with other coins. Bendell concludes “Bitcoin has served its purpose and we must move on with smarter and cleaner tech – either voluntarily or with government help”. We have much to thank Bitcoin for. And if getting rich without working was all that mattered then we could go full steam ahead. But in a planetary emergency, we cannot afford to get stuck on unhelpful ideologies. Almost everything Bitcoin stands for can be better advanced by our swarming around newer technologies. 2 Comments → Time to bin Bitcoin? other more popular ones are litecoin, monero, doge, dash, steem, etc.